Our laptop has crashed! No worry, LAPTOP SERVICE CENTER, KONDAPUR is here with their high quality service in the industry of COMPUTER REPAIR. 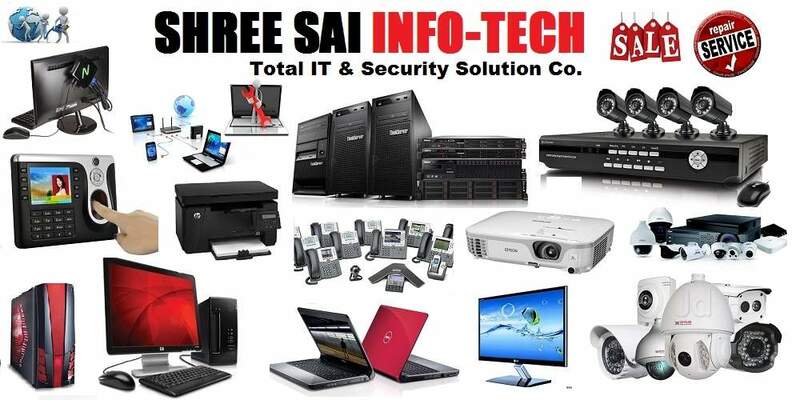 SRI SAI INFOTECH commits to high quality Laptop Service with expert handling. All component of laptop is the most essential and needs professionally fit and skilled technician to repair it. LAPTOP REPAIR CENTER KONDAPUR offers high-quality services for your sensitive Components and chips. We have expert technicians, who work with focus and handle the Service of your laptops. Our dedicated team of experts can handle all makes and models of laptops ranging from various brands with expertise. SRI SAI INFOTECH provides best laptop repairing services and support including laptop AMC services, virus removal, motherboard repair, hard drive repair, laptop data recovery, keyboard replacement, hard drive repair, laptop screen repair, software installations services, antivirus Installations services and so much more. COMPUTER REPAIR SERVICES, KONDAPUR provides doorstep pick and drop for your damaged laptop. We keep full transparency with our client regarding their laptop faulty issues. By providing them the correct information on the services to be done. We’ll give the budget and the time required. We will wait for your approval before pursuing the work required. We provide you the assurance of using the genuine high quality parts of laptop and computer. As we have built the relationship with our suppliers in years. This gives us confidence to say we are able to use quality spare parts or replacement parts of laptop and computers. We have the team of professionally trained technicians in laptop repairing or servicing. All the engineers are professionally qualified in their own domain. Our team assures you to get the job done within the time frame and with your full satisfaction. We know how important your device is to you. So we will give you the fast track service aiming to fix your basic problem of screen battery in shortest period of time. Only if the problem is complex it might take more time for which we will keep you updated via customer services via SMS.